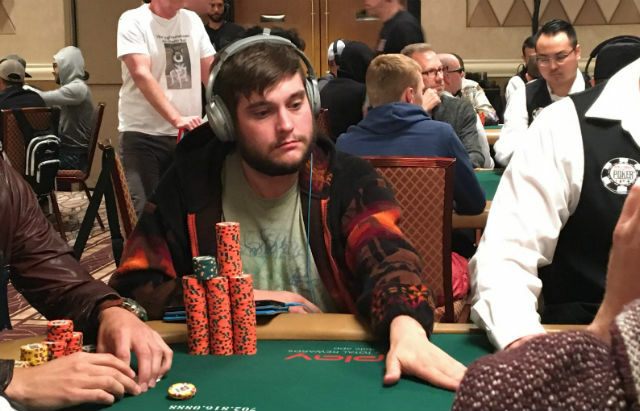 Bryan Piccioli is enjoying his deepest run in the WSOP Main Event and hopes to keep going. This time last year Bryan Piccioli, once the #1-ranked online poker player in the world, was deep in the World Series of Poker Main Event and updating his friends and family back home in Olean, New York as he made his way through the field. His parents, Dan and Diana, were following along right up until their son busted in 84th place. The day a player busts out of the Main Event is the worst day of their year and Bryan and his girlfriend Karissa made plans to get away for an extended European vacation. 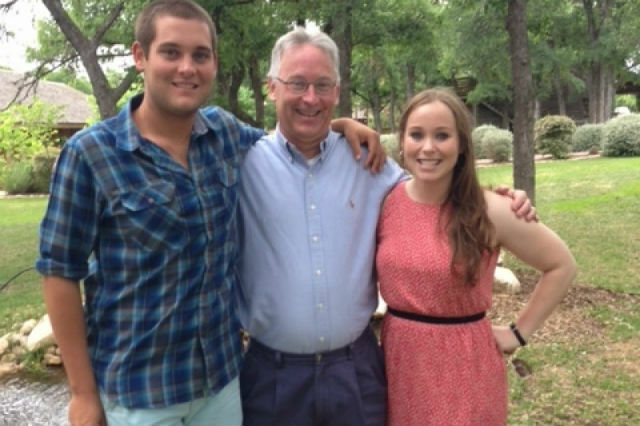 Bryan’s dad had suffered a serious spinal injury after falling at home. A medevac was brought in to take him to Erie County Medical Center in Buffalo – some 75 miles away – for surgery to alleviate some of the pressure on his spine. “She didn’t know how serious it was at first. So she kind of waited a little bit to see exactly what the situation was before calling me and it turned out it was very serious,” Bryan said. Bryan’s dad was suddenly a quadriplegic. Abandoning the vacation, Bryan flew from Copenhagen to Amsterdam to New York City to Buffalo to get back to his family. Once stable, doctors recommended that he be transferred to the University of Pittsburgh Medical Center, one of the nation’s leaders in spinal injury rehabilitation. With bills to pay, Bryan’s mom couldn’t afford much time off work and his sister had just started the nursing program at George Mason University in Virginia. Bryan realized what needed to happen. In the meantime, his sister Lauren set up a GoFundMe campaign to help the family raise money to pay for the extensive renovations the family home in Olean was going to need to accommodate Dan. Co-workers from Cattaraugus County, where Dan served as Social Services Commissioner, started selling t-shirts to help with the fundraising. Lauren Piccioli started a GoFundMe campaign to help pay for some of the renovations needed for the Piccioli house. The campaign was a huge success and while Dan was in Pittsburgh learning how to cope with his new reality, contractors went to work. Once his dad was back home, Bryan and Karissa had a decision to make. The pair had planned on moving to San Diego in January. That move would mean Bryan would be almost 2,600 miles away. The rehabilitation process gave Dan some limited improvement, but the reality is that his situation is unlikely to improve any time soon, if at all. Before the start of Day 6 of the 2017 WSOP Main Event, Bryan was still playing, looking to better his 2016 finish and was again keeping family and friends up to date on his progress, including his biggest fan. But Dan isn’t just some railbird who has no clue about the game. He’s the one who introduced Bryan to the game years ago. In 2006, Dan played the Main Event, finishing 537th. It was a memorable experience for a lifelong poker fan, there was just one small problem. He’s also picked up a few other cashes over the years. The last few times he’s been out to Las Vegas though was the cheer on his son. Through the first two levels of play on Day 6, just 60 players remain and Piccioli sits right in the middle of the pack. While he’s trying hard not to get too far ahead of himself, he’d love to find a way to have his biggest fan on the rail should be make it to the final table. One of this year’s most endearing stories has given Bryan even more inspiration though. Kenneth ‘K.L’ Cleeton finished in 917th place. The 27-year-old suffers from spinal muscular atrophy and is paralyzed from the neck down – just like Dan. What if Dan could play the Main Event next year? Sharing the story with his family, Bryan hopes it serves as a bit of inspiration for dad. “I was tearing up honestly. I told my Dad the whole story. I was FaceTiming with him, ‘Dad, look at this guy. This is the perfect example. You could be out here next year’,” said Bryan. The 28-year-old has learned a lot about himself in the past year, but he says he’s had some important things reinforced for him. Even though he’s in Las Vegas now, and enjoys the lifestyle in San Diego, putting his entire family under one roof so they could be together would be the ideal situation. The deeper he gets in the Main Event, the easier it will be to make that happen. “My dream, hopefully one day, is to be able to get a big house and live with my parents, I don’t know where but if I win this tournament that would help,” Bryan said.